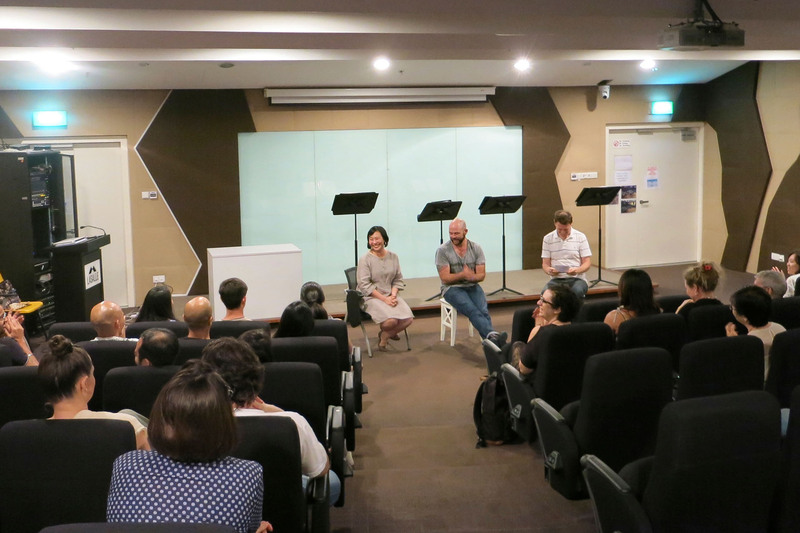 Tales of Two Cities is an ongoing conversation and creative exchange between Singaporean and Australian playwrights, theatre makers, artists and filmmakers. 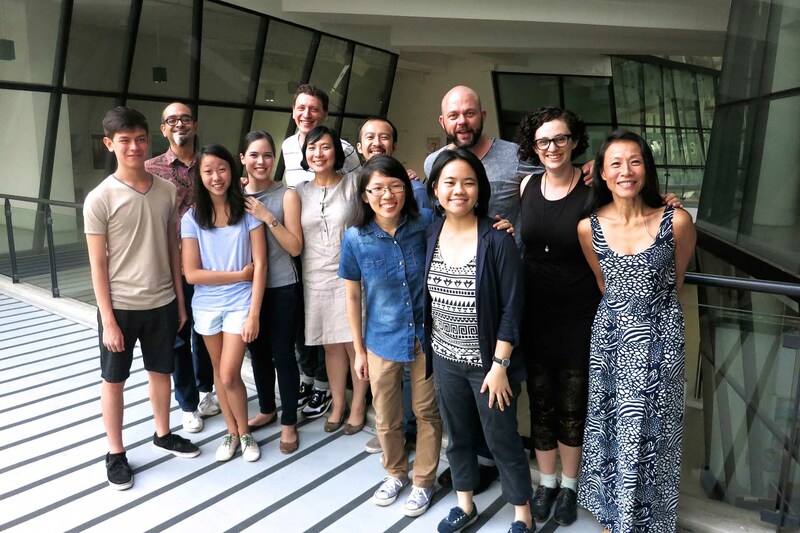 It kicked off with Singaporean theatre artists visiting Playwriting Australia’s National Play Festivals – playwright and Checkpoint Theatre Joint Artistic Director Huzir Sulaiman was the guest artist in 2012. 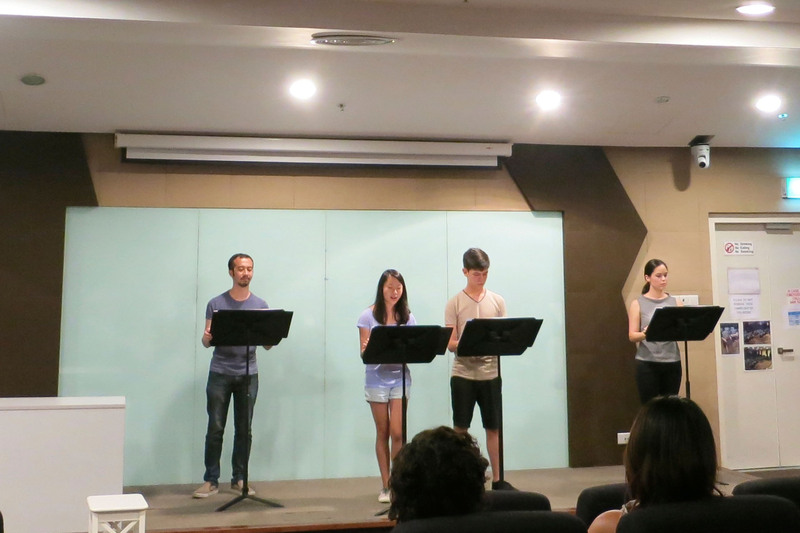 Emerging playwrights and Checkpoint Associate Artists Joel Tan and Faith Ng had also spent a week at ATYP’s Fresh Ink National Studio in Bundanon in 2013 before the programme continued in Singapore. A panel discussion by leading various playwrights and theatre-makers to discuss the challenges and joys of writing and making theatre in Sydney and Singapore was moderated by Huzir Sulaiman, Joint Artistic Director of Checkpoint Theatre and Tim Roseman, Artistic Director of Playwriting Australia. Checkpoint Theatre also staged dramatised play readings of Silent Disco by Lachlan Philpott (directed by Claire Wong) and Shabbat Dinner by Jessica Bellamy (directed by Joel Tan) as a continuation to the panel event for Tales of Two Cities at this one-day-only event. 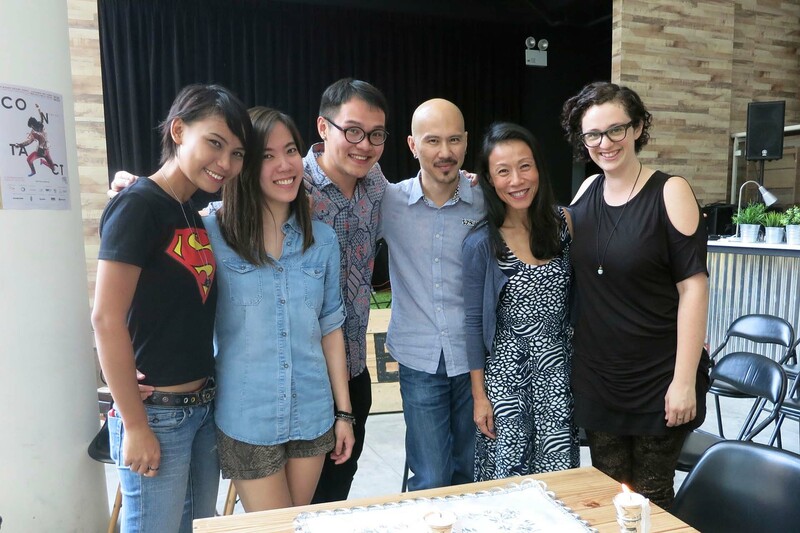 For six weeks from November to mid-December, Australian playwright Jessica Bellamy took part in the Grey Projects arts residency at Tiong Bahru and worked with Checkpoint Associate Artists Joel Tan and Faith Ng to explore the extraordinary relationship Singaporeans have with the food that they eat. 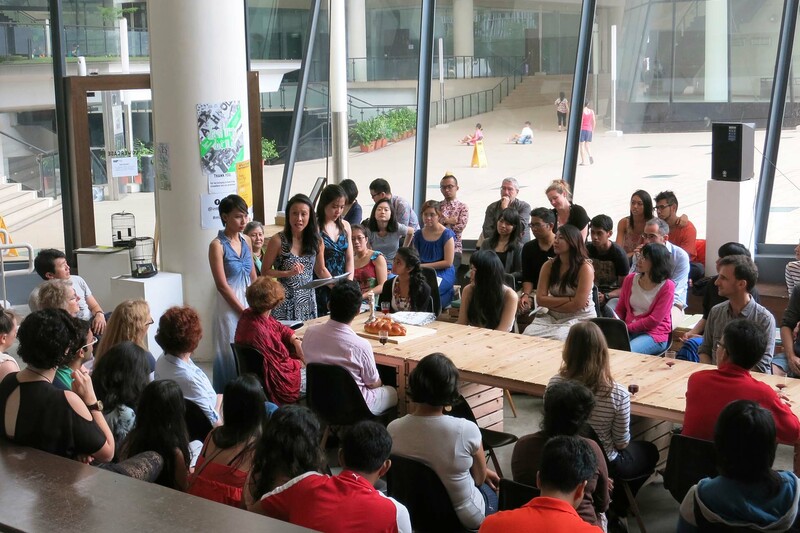 She also worked with community groups, schools and Singaporean artists to create a response to her play Shabbat Dinner. Photo credits to Dan Prichard, Claire Wong and Karanina Suryadinata.